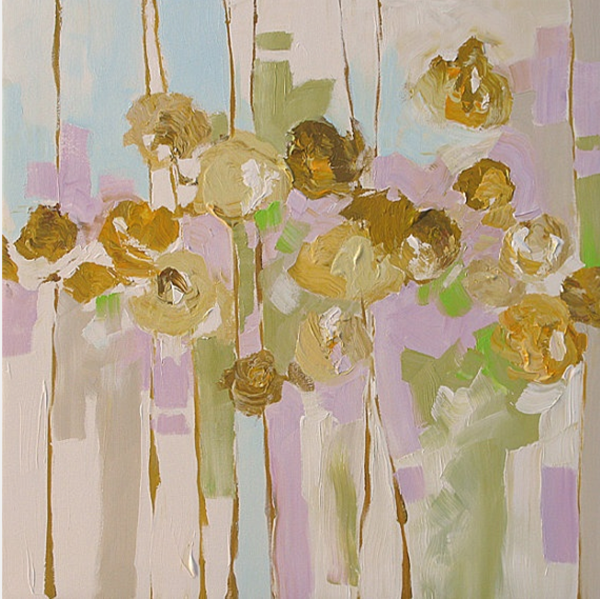 The recipes on my monthly bucket list often turn into something different from the original, just like painting inspirations. 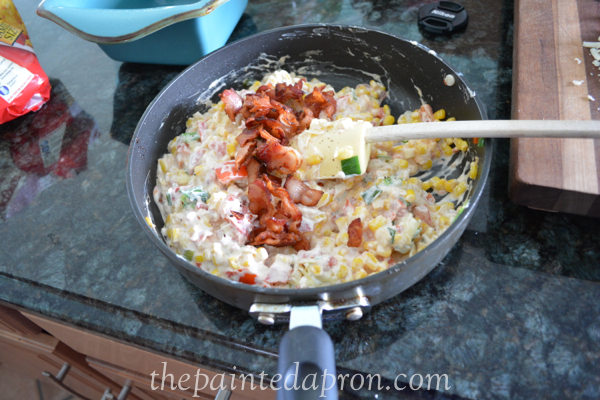 On the August Bucket List one of the appetizers is Jalapeno & Bacon Corn Dip from Damn Delicious. I used Chungah’s recipe as a base then tweaked it a little by adding red peppers, tomatoes and green chiles and sharp white cheddar. 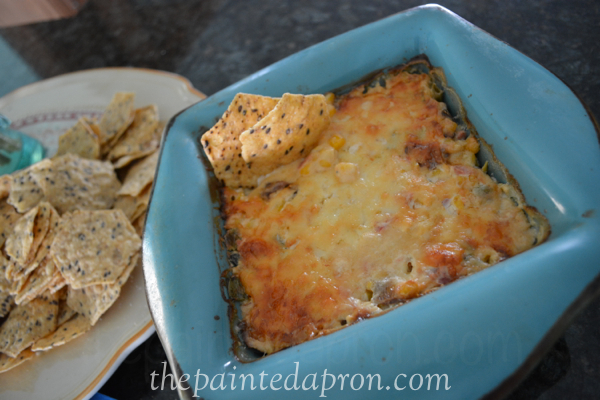 This dip is simple, fast and yes, it is Damn Delicious! 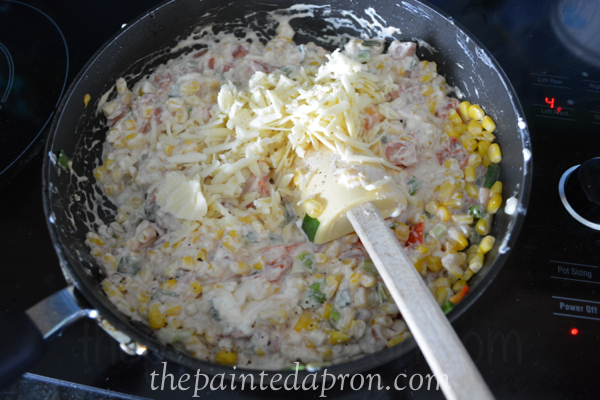 Be sure to remember this easy corn dip for football season! 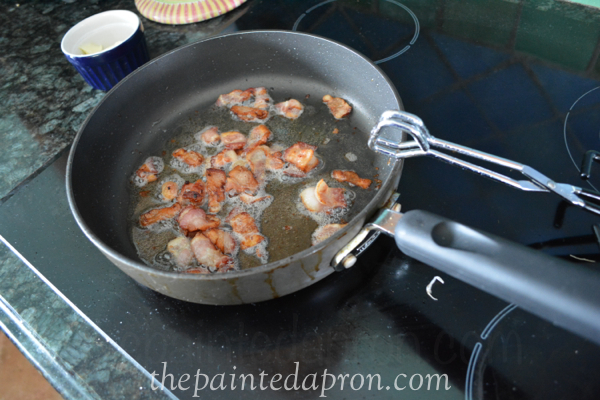 Cook diced bacon over medium low heat until crispy. 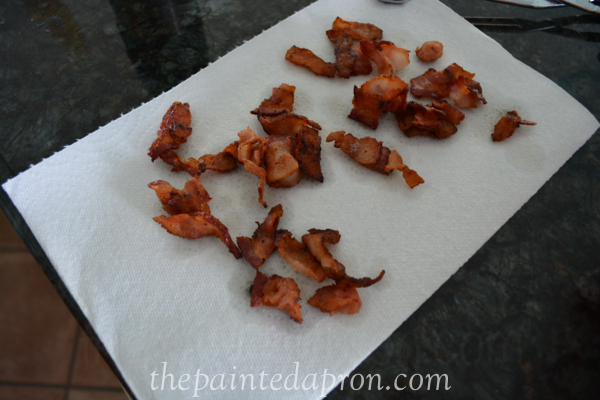 Remove from pan and drain on paper towels. Saute pepper in 1 T of bacon drippings. 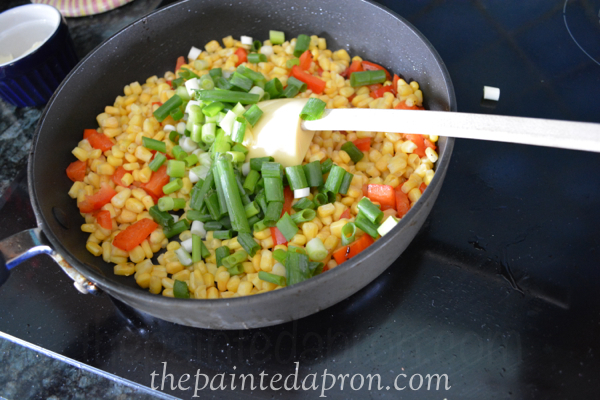 Add corn and green onions and stir. 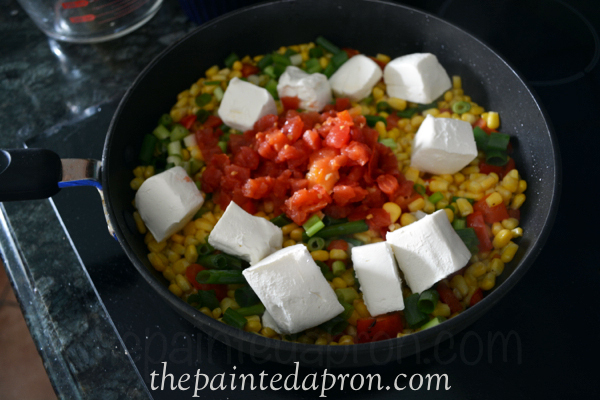 Add tomatoes and green chiles and cream cheese cubes. 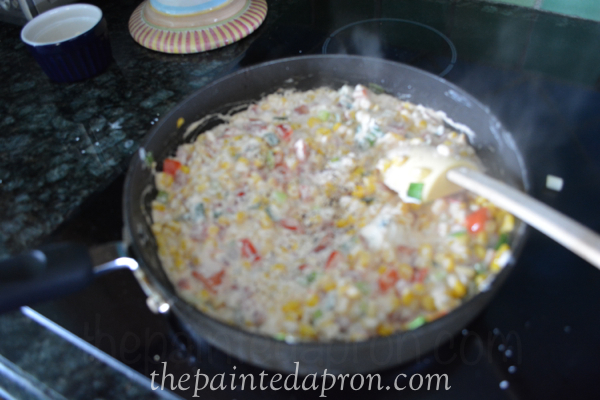 Stir until cheese melts. Add cream if mixture seems to thick. Stir in 1/2 of cheddar. Transfer mixture to a small baking dish. 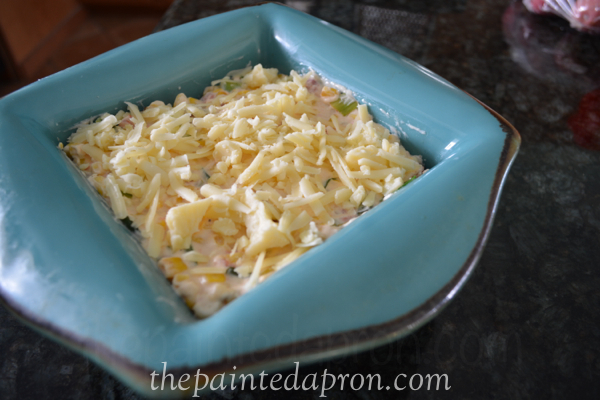 Top with remaining cheese and bake at 325 until hot and bubbly. they are full of good stuff! 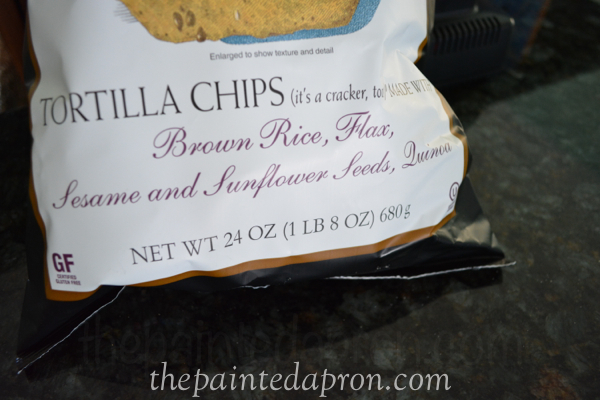 Your dip looks sinfully good! And the painting is so striking. I like what you have to say about borrowing from another artist. Isn’t that what artists have always done — been inspired by someone else’s work, and reinterpreted it? Amen~ the concept is from Austin Kleon’s book How to Steal Like an Artist, I found a lot of things to relate to in this book~ what are you painting next? Thank you for the nice recipe. Have a Great Day and a Wonderful Week! 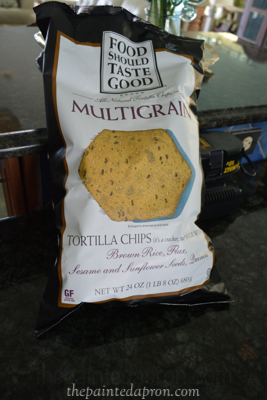 Jenna, Everything from DD makes me drool and your dip sounds divine with your additions and the white cheddar! 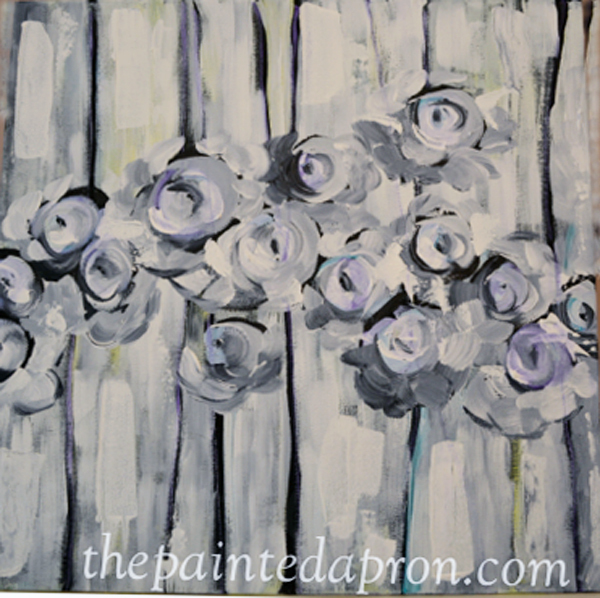 I love your artistic rendering and painting for your daughter in shades of gray, I’m sure she was thrilled! That painting for your daughter came out so well. I do hope she liked it as much as I do. 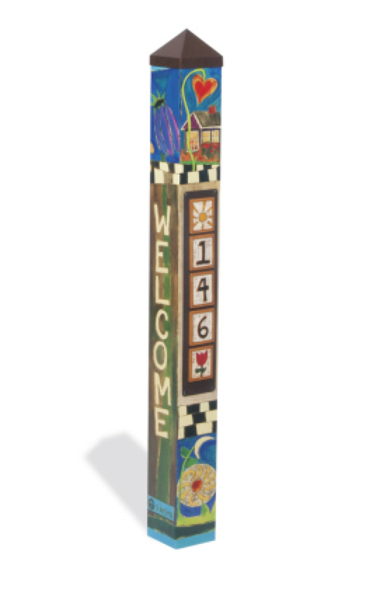 I’ve never seen such tall garden stakes, but that makes so much more sense than tiny ones that I don’t know why no one thought of it sooner. 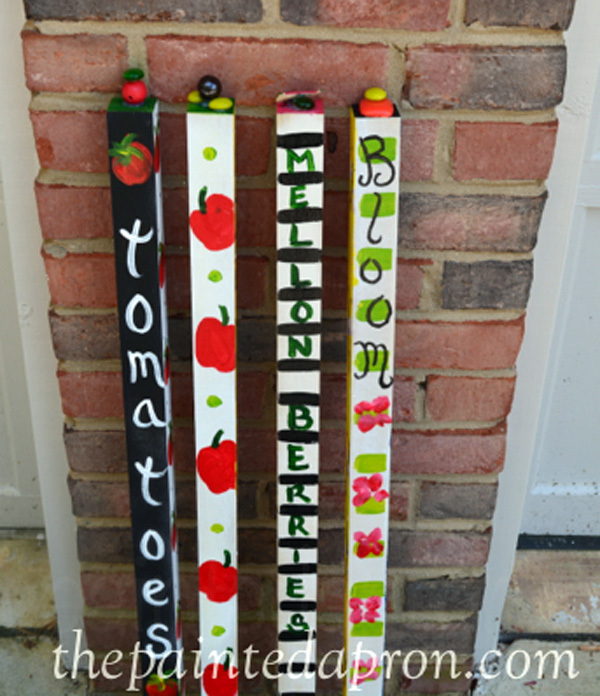 Plus, I’m sure it brings such a fun pop of color to your garden too. 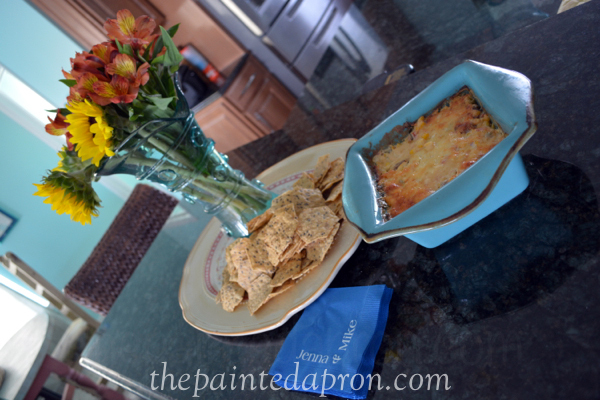 Your dip looks so, so good and I’m definitely going to have to remember it for football season as we often go to friends’ houses to watch the Tide Roll! Thanks for linking up. I love corn dip! 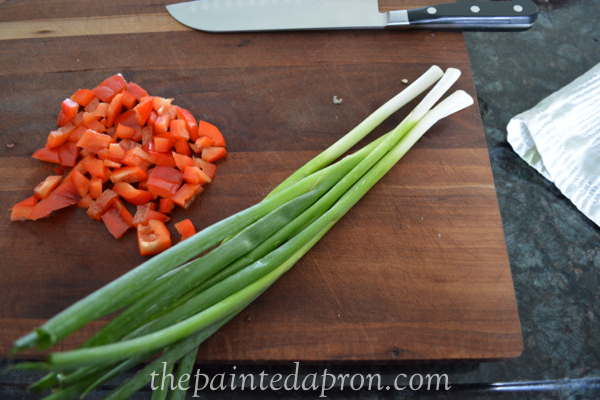 Yours looks so much better with the green onion and bacon. 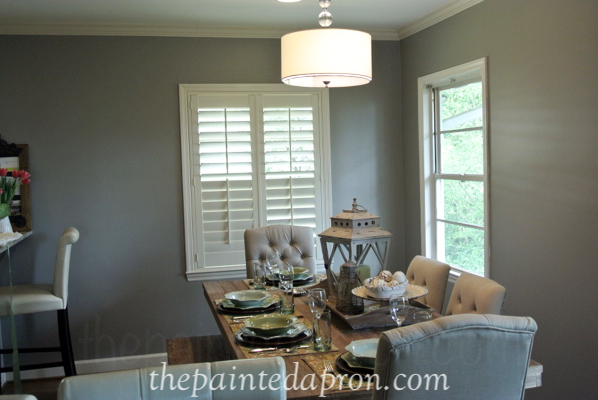 Your daughter’s dining room is beautiful! I am definitely going to give this recipe a try! I have never seen a recipe with cream cheese that isn’t fabulous!!! I have guests coming this weekend and have been debating on what to serve for an appetizer…so glad to find this – it looks delicious! Thanks Shelia, I promise you and your guests will love it!